TGI Insurance Agency now offers our signature vacant home insurance policy in Virginia. This policy was specifically designed to meet the needs of homeowners of unoccupied homes in Virginia. Our vacant home policy can be used for a variety of vacancy reasons including homes for sale, renovations, houses up for rent, and more! 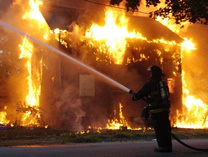 Does Your Current Homeowners Insurance Cover Vacant Homes? Since you purchased your original homeowners or landlord policy under the premise that someone would be residing in your home, your insurer can have legal grounds to deny claims in many circumstances if the house is later determined to be vacant. For this reason, only a policy specifically designed for your vacant home can offer the coverage you need. TGI Insurance offers a very cost effective solution for insuring your empty house! Who Is Eligible to Purchase Vacant Home Insurance? Just about anyone with a vacant home can purchase our vacant home insurance policy. Our policy will cover homes for sale, for rent, undergoing renovations, hosue flippers, etc... We insure the ENTIRE STATE of Virginia including areas closer to the coast such as Norfolk and Newport News. Most coastal areas even include wind and hurricane coverage. TGI can currently cover vacant homes in Florida, North Carolina, South Carolina, Georgia, Tennessee, and Virginia. Use our online application to quote your vacant home insurance or call us at 1-704-846-1400.